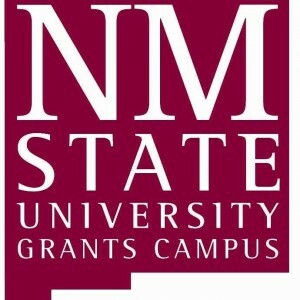 New Mexico State University Grants Campus has a full-time (40 hours per week, M-F varied hours 8-7), job opening for Library Services Director I. Salary: Level 8 and commensurate with qualifications and experience with benefits. Minimum Qualifications: Master’s degree in Library and Information Science or a related field; 5 years of professional experience. Prefer: Knowledge of emerging information technologies and their application to libraries; a positive customer service philosophy and commensurate skills interacting with faculty, staff, students and community library users; supervisory experience with staff and students including hiring, scheduling, and motivational incentives. Submission of application is fully online at: https://jobs.nmsu.edu. Deadline for applications is Sunday, July 31, 2016 at 11:59 p.m. For information on the online application process contact Janie Gutierrez, (505) 287-6625, or janieg61@nmsu.edu. NMSU IS AN EQUAL OPPORTUNITY/AFFIRMATIVE ACTION EMPLOYER. Women and Minorities are strongly encouraged to apply. All offers of employment, oral and written, are contingent on the University’s verification of credentials, individual’s eligibility for employment in the United States and other information required by federal law, state law, and NMSU policies/procedures, and may include the completion of a criminal history check.